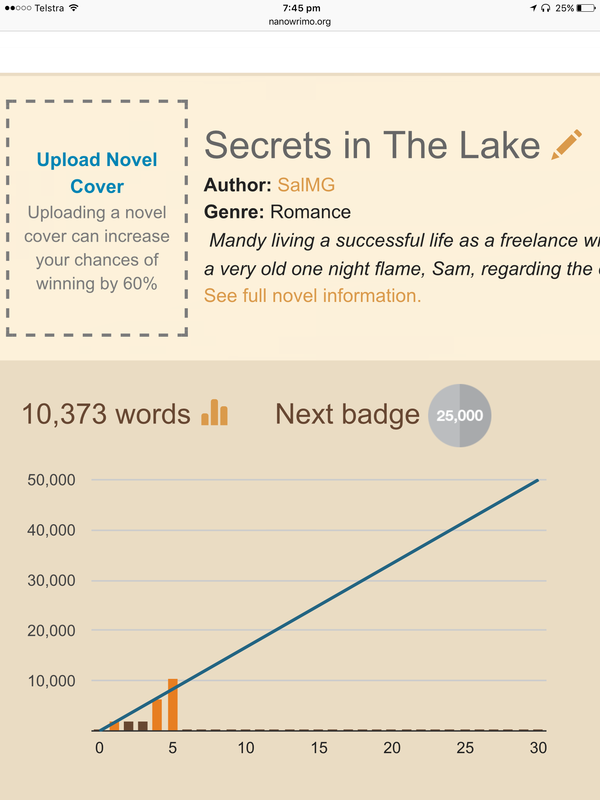 I got past 10000 words. It feels fantastic and Im giving myself the night off. It has been really empowering to just take time out to write. To have a deadline and a goal. I wasnt sure if it would stifle my creativity, but I find its the opposite. Having that deadline and daily wordcount to reach forces you to sit down and write. This seems to just make the words come. Writing really is about just sitting down and write. Not thinking about it and fitting it in when you feel creative. Creativity will find you when you make yourself write.